Maria Armstrong is CEO and Executive Producer at Big Coat Media. Prior to Big Coat, Maria was Director of Original Productions for W Network Corus Entertainment, where she established a strong independent production department and was responsible for all original productions for the network. Maria has over 40 years of extensive experience in the television and film industry. 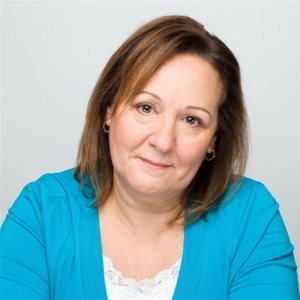 Starting her career in casting, Maria quickly established herself as one of Canada’s foremost casting directors. While reporting to Ivan Fecan at the CBC, Maria was Head of Talent and Executive Director of Talent Relations, in charge of casting all CBC productions and talent development. At Big Coat, Maria is currently responsible for overseeing all production and business aspects of Big Coat Media and is the executive producer on the critically acclaimed, Gemini Award-nominated series “Love It or List It” on HGTV Canada and HGTV (US). Maria also oversee the Leo Award winning Love it or List It Vancouver, and Love It or List It Vacation Homes, current running on HGTV. The Love it or List It brand, is in over 149 territories around the world and with 8 countries currently formatting the highly successful show.